IRSCL member the Irish Society for the Study of Children’s Literature is pleased to announce that its third podcast, which addresses the topic of adapting adult texts for children in the context of the work of two of Ireland’s most renowned authors (Jonathan Swift and W. B. Yeats), can be accessed at https://issclblog.wordpress.com/podcasts/. In the podcast, Anne Markey explores the relationship between children’s literature and Jonathan Swift’s Gulliver’s Travels in this, the 350th anniversary of the author’s birth, and Noreen Doody discusses issues involved in editing The Moon Spun Round: W.B. Yeats for Children. The act of imagining lies at the very heart of children’s engagements with literature and with the plots and characters they encounter in their favorite stories. The Courage to Imagine is a landmark new study of that fundamental act of imagining. 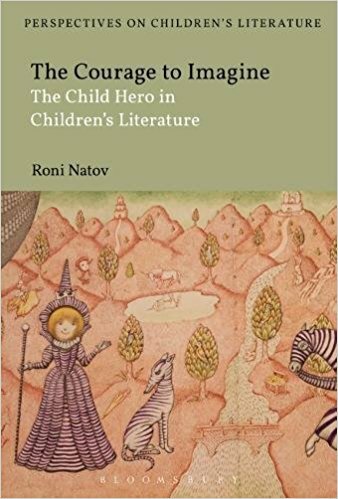 Roni Natov focuses on the ways in which children’s imaginative engagement with the child hero figure can open them up to other people’s experiences, developing empathy across lines of race, gender and sexuality, as well as helping them to confront and handle traumatic experience safely. Drawing on a wide range of theoretical approaches from the psychological to the cultural and reading a multicultural spectrum of authors, including works by Maya Angelou, Louise Erdrich, Neil Gaiman and Brian Selznick, this is a groundbreaking examination of the nature of imagining for children and re-imagining for the adult writer and illustrator. This book is the story of the emergence and development of writing for children in modern Korea. Starting in the 1920s, a narrator-adult voice began to speak directly to a child-reader. This child audience was perceived as unique because of a new concept: the child-heart, the perception that the child’s body and mind were transparent and knowable, and that they rested on the threshold of culture. 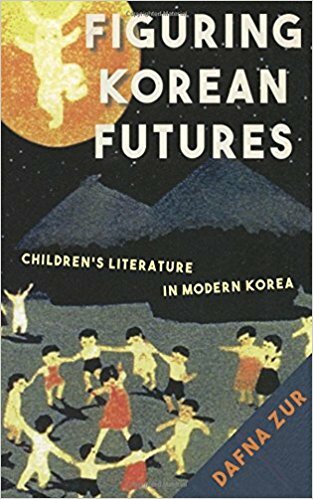 This privileged location enabled writers and illustrators, educators and psychologists, intellectual elite and laypersons to envision the child as a powerful antidote to the present and as an uplifting metaphor of colonial Korea’s future. Reading children’s periodicals against the political, educational, and psychological discourses of their time, Dafna Zur argues that the figure of the child was particularly favorable to the project of modernity and nation-building, as well as to the colonial and postcolonial projects of socialization and nationalization. 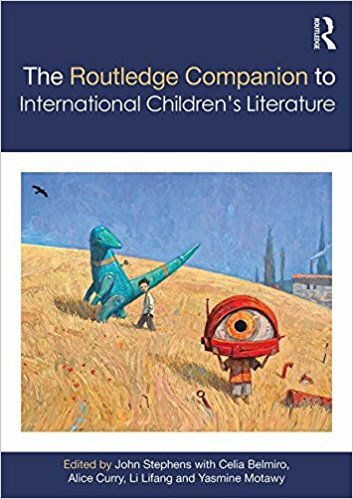 Demonstrating the aesthetic, cultural, political, and intellectual diversity of children’s literature across the globe, The Routledge Companion to International Children’s Literature is the first volume of its kind to focus on the undervisited regions of the world. With particular focus on Asia, Africa, and Latin America, the collection raises awareness of children’s literature and related media as they exist in large regions of the world to which ‘mainstream’ European and North American scholarship pays very little attention. Containing 48 essays by leading and new scholars, this Companion is the ultimate guide to picturebooks. It contains a detailed introduction by the editor, surveying the history and development of the field and emphasising the international and cultural diversity of picturebooks. Divided into 5 key parts the book covers: concepts – from within picturebooks, but also applied from literary theory; genres – from baby books to picturebooks for adults – their relations to other forms such as comics and visual media; domains and theoretical approaches; and adaptations and media. This volume represents the current state of research on picture books and other adjacent hybrid forms of　visual/verbal texts such as comics, graphic novels, and book apps, with a particular focus on texts produced for and　about young people. When Perry Nodelman’s Words about Pictures: the Narrative Art of Children’s Picture Books　was published almost three decades ago, it was greeted as an important contribution to studies in children’s　picture books and illustration internationally; and based substantially on it, Nodelman has recently been named the 2015 recipient of the International Grimm Award for children’s literature criticism. 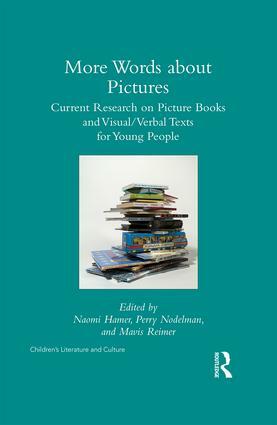 In the years since Words About Pictures appeared, scholars have built on Nodelman’s groundbreaking text and have developed a range of other approaches, both to picture books and to newer forms of visual/verbal texts that have entered the marketplace and become popular with young people. The essays in this book offer ‘more words’ about established and emerging forms of picture books, providing an overview of the current state of studies in visual/verbal texts and gathering in one place the work being produced at various locations and across disciplines. Essays exploring areas such as semiological and structural aspects of conventional picture books, graphic narratives and new media forms, and the material and performative cultures of picture books represent current work not only from literary studies but also media studies, art history, ecology, Middle Eastern Studies, library and information studies, and educational research. 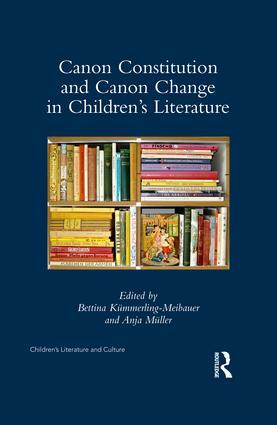 In addition to work by international scholars including William Moebius, Erica Hateley, Nathalie op de Beeck, and Nina Christensen that carries on and challenges the conclusions of Words about Pictures, the collection also includes a wide-ranging reflection by Perry Nodelman on continuities and changes in the current interdisciplinary field of study of visual/verbal texts for young　readers. 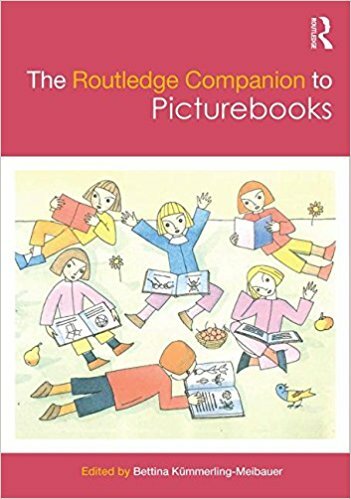 Providing a look back over the history of picture books and the development of picture book scholarship, More Words About Pictures also offers an overview of our current understanding of these intriguing texts. This volume focuses on the (de)canonization processes in children’s literature, considering the construction and cultural-historical changes of canons in different children’s literatures. 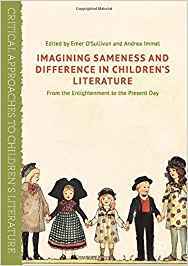 Chapters by international experts in the field explore a wide range of different children’s literatures from Great Britain, Germany, Scandinavia, the Low Countries, Eastern and Central Europe, as well as from Non-European countries such as Australia, Israel, and the United States. Situating the inquiry within larger literary and cultural studies conversations about canonicity, the contributors assess representative authors and works that have encountered changing fates in the course of canon history. Particular emphasis is given to sociological canon theories, which have so far been under-represented in canon research in children’s literature. The volume therefore relates historical changes in the canon of children’s literature not only to historical changes in concepts of childhood but to more encompassing political, social, economic, cultural, and ideological shifts. This volume’s comparative approach takes cognizance of the fact that, if canon formation is an important cultural factor in nation-building processes, a comparative study is essential to assessing transnational processes in canon formation. This book thus renders evident the structural similarities between patterns and strategies of canon formation emerging in different children’s literatures. Jean Perrot quitte sa stature de spécialiste de littérature enfantine et dévoile ici son rôle de grand-père. Avec cet album, il livre à son petit-fils quelques poèmes, jalonnant les étapes de la naissance à l’envol de l’enfant devenu adulte. Attention, étonnement, goût du jeu, inquiétude, admiration… le grand-père dit, en quelques mots, les émotions et les sentiments ressentis sur ce chemin partagé. 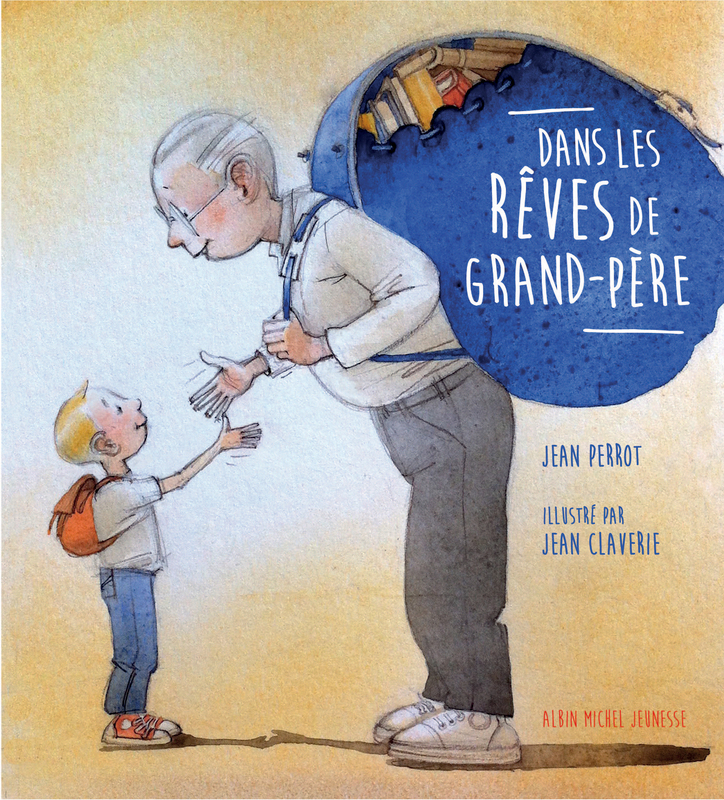 Des mots pétris d’écoute et de délicatesse, qui se chargent, au fil du temps qui passe, du sens de la vie et qui expriment cet art merveilleux d’être grand-père. IRSCL member Margaret Mackey has just published One Child Reading: My Auto-Bibliography, a book that sets out to explore the question of what we can learn about the act of reading from a single child’s experience of becoming literate in a particular place and time. Dr. Mackey draws together memory, textual criticism, social analysis, and reading theory in an extraordinary act of self-study. Seeking a deeper sense of what happens when we read, she revisits the texts she read, viewed, listened to, and wrote as she became literate in the 1950s and 1960s in St. John’s, Newfoundland. The result is not a memoir, but rather a theorized exploration of how a reader is constructed. 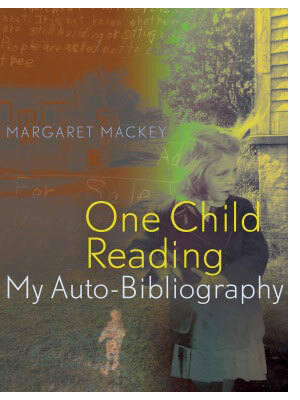 For more information, read an interview with Margaret Mackey about One Child Reading in the Edmonton Journal. The Jacqueline M. Albers Guest Scholar in Children’s Literature Fellowship was endowed by SLIS alumna Jacqueline M. Albers to support a guest scholar who will study children’s literature using the collections in the Reinberger Children’s Library Center. The Kenneth and Sylvia Marantz Fellowship for Picturebook Research, supported by Dr. Kenneth and Sylvia Marantz, encourages scholarly research on the study of picture books using the resources of the Marantz Picturebook Collection for the Study of Picturebook Art. If awarded, funds could be used to coordinate a research visit with attending the Marantz Picturebook Research Symposium, July 24-26, 2016. Each fellowship provides a stipend of up to $1,500 for outstanding scholars to spend approximately one week on site, researching picture books, posters or ephemera related to picturebooks in the Reinberger Children’s Library Center and Marantz Picturebook Collection at the Kent State University School of Library and Information Science in Kent, Ohio, U.S.A. Stipends may be used toward travel, lodging, food and research-related supplies. The Center’s purpose is threefold: 1) to support and encourage scholarly research within its collections; 2) to provide professional training to students and practitioners; and 3) to engage in activities and outreach to the community and beyond. The Center’s collection is of interest to interdisciplinary scholars and practitioners from such fields as youth services librarianship, school library media, children’s literature, education, English, communication, media studies, design, and others interested in studying youth literature, publishing, young people and reading in both an historical and contemporary context. The Reinberger and Marantz collections combine to form a research library collection of more than 30,000 books and related ephemera. Albers: Applicants will be evaluated based on their proven dedication to the study of children’s literature (not specifically picture books) and selection of a topic of study related to the Reinberger and Marantz collections. Marantz: Applicants will be evaluated based on their proven dedication to the study of children’s picture books and selection of a topic of study related to the Reinberger and Marantz collections. Preference will be given to topics likely to be published or otherwise disseminated. Awards also will be based on applicants’ scholarly qualifications. Applicants from diverse academic disciplines are welcome to apply, including but not limited to: youth services librarianship, school library media, children’s literature, art, education, English, communication, media studies, design, art education, illustration, publishing, and others interested in studying youth literature, young people and reading. Applicants must hold at least a master’s degree. Please provide the following materials using the form at this link: http://bit.ly/ksuSLISfellowsApp. Applications must be submitted on the appropriate form (http://bit.ly/ksuSLISfellowsApp) no later than midnight on Jan. 30, 2016. Winners will be announced via email on or before March 1, 2016. Recipients of the Marantz Fellowship for Picturebook Research must be willing to present (in-person or online) their research related to the fellowship findings at a future picture book symposium hosted by Kent State University’s School of Library and Information Science. Recipients of the Albers Fellowship must be willing to present (in-person or online) their research related to the fellowship findings at a future symposium hosted by Kent State University’s School of Library and Information Science. Recipients must be willing to have their name, photo and title of research promoted via publicity and marketing channels at Kent State University. Any publications resulting from this support should credit the appropriate fellowship. Applicants agree to send a copy of any ensuing publications to the Reinberger Children’s Library Center at Kent State University’s School of Library and Information Science. For questions please contact Michelle Baldini: mbaldini@kent.edu or Marianne Martens: mmarten3@kent.edu. The International Institute for Children’s Literature in Osaka (IICLO) is pleased to announce Perry Nodelman as the fifteenth recipient of the International Brothers Grimm Award. In March 2015, a final meeting of the Japanese committee was held, and decided that the winner was Professor Perry Nodelman in Canada. The award presentation ceremony and Professor Perry Nodelman’s commemorative lecture will be held on 21 November 2015. At the ceremony, a trophy and a prize of one million yen will be given by the Kinrankai Foundation, a supporter of the award. Dr. Perry Nodelman, Professor Emeritus of University of Winnipeg, is an exemplary researcher of children’s literature and picture books internationally. His main works published in book form are: Words About Pictures: The Narrative Art of Children’s Picture Books (1988), The Pleasures of Children’s Literature (1992), and The Hidden Adult: Defining Children’s Literature (2008), all of which are highly esteemed. Words About Pictures in particular has received international recognition as a groundbreaking work in the field of research on picture books. The Pleasures of Children’s Literature is renowned as a textbook for the research of children’s literature for university students and has been translated for publication in China, Taiwan, and Korea. He was editor of the Children’s Literature Association Quarterly for five years (1983-87) and Canadian Children’s Literature/Littérature canadienne pour la jeunesse for five years (2004-2008). He also wrote many articles on children’s literature theory and reviews of research books on children’s literature, all of which contributed to development of research in the field. He is also a writer of twelve books of children’s and young adult fiction. Among them, the four books of the Minds Series, written with Carol Matas, are works of fantasy which encourage logical thinking and have been translated into Japanese. Dr. Nodelman taught at the University of Winnipeg in Canada for thirty-seven years and provided valuable support to many researchers. 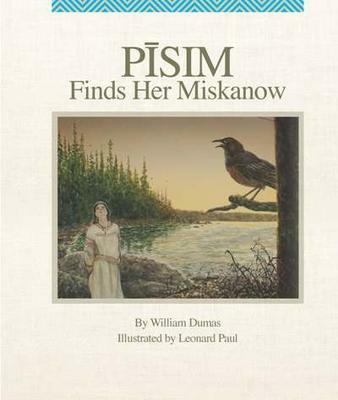 The Centre for Research in Young People’s Texts and Cultures (CRYTC) is pleased to announce the publication of the picture book Pīsim Finds Her Miskanow. This book, written by William Dumas and illustrated by Leonard Paul, is the result of a six-year research collaboration between a group of scholars and educators from the University of Winnipeg, the Manitoba Museum, and the Government of Manitoba, and land-based members of the South Indian Lake community. The project of developing the story and collecting the additional information on Rocky Cree language and culture, archaeology and history, maps, and songs included in the book was supervised at CRYTC. Pīsim Finds Her Miskanow is about a week in the life of Pīsim, a young Cree woman living in the late 1600s. The 1993 archaeological excavation of the remains of a woman and her belongings from Nagami Bay at South Indian Lake, Manitoba, was the inspiration for the story. In the story, Pīsim begins to both recognize her purpose for being and develop her gifts for fulfilling her purpose. On the edges of the words and pictures of the story, readers will find supplementary material — maps, diagrams, explanatory notes, Rocky Cree vocabulary — to help them to situate and to extend the meanings of the story. Pīsim Finds Her Miskanow was published in August by Highwater Press and is available through their website (https://highwaterpress.com/shop-2/pisim-finds-her-miskanow/), McNally Robinson, Indigo, and Amazon.ca. Pīsim finds her Miskanow . . . is a wonderful bringing together of archeology, anthropology, history, and Cree language to make a story that brings these disciplines to a living place in our hearts and minds. William Dumas has presented Pisim and her family in such a way that their lives will be etched into our memory. The story is complemented by the beautiful and realistic illustrations of Leonard Paul. . . . This book is wonderful! The 2012-13 Fickling Lecture will be delivered by Sarah Brown on 25 April 2013. Sarah Brown is an advocate for women’s health and global education issues around the world. She is a member of the High Level Panel for Global Education, the Founder and President of the Children’s charity PiggyBankKids, and the author of Behind the Black Door, an account of life in Downing Street during the Prime Ministership of her husband, Gordon Brown. This year’s Fickling Lecture stresses the importance of supporting literacy and education initiatives globally, a need brought to public attention when Taliban gunmen attempted to assassinate schoolgirl-activist Malala Yousafzai in October 2012. Sarah Brown’s Lecture will be called “A Promise to Malala – Children’s Literature and Education for All.” It will focus on the Education for All drive to get the 61 million children into school who are missing out, and the 200+ million more who need education and learning. Sarah will have children’s literature as her starting point as the basis of good learning and personal development, and will reference international examples of children’s stories used in learning/education context. She will talk about the scope of the campaign and various global activities to provide education for every child by the end of 2015 (the deadline for the UN’s Millennium Development Goals, including Universal Primary Education). Sarah will also talk about her visits to Seven Stories and her engagement with Book Trust over the years. The lecture will be delivered from 5:30-6:30 in the Curtis Auditorium, Herschel Building, Newcastle University, directly opposite Haymarket Metro Station. Previous Fickling Lectures can be viewed by clicking on the archives tab at http://www.ncl.ac.uk/events/public-lectures/ and typing in the names of speakers (the first three Fickling Lectures, given by Philip Pullman, Andrew Motion and James Naughtie) were not recorded but you can watch and listen to Sandi Toksvig, Nick Hornby, Roddy Doyle, Shami Chakrabarti and, if you can’t attend her lecture in person or would like to listen to her again, in due course, Sarah Brown). Offering a wide range of critical perspectives, this volume explores the moral, ideological and literary landscapes in fiction and other cultural productions aimed at young adults. Examining in depth significant contemporary novels, including those by Julia Alvarez, Stephenie Meyer, Tamora Pierce, Malorie Blackman and Meg Rosoff, among others, Contemporary Adolescent Literature and Culture illuminates the ways in which the cultural constructions ‘adolescent’ and ‘young adult fiction’ share some of society’s most painful anxieties and contradictions. Visit Ashgate Publishing for more information. Books like Johnny Tremain, The Witch of Blackbird Pond, Island of the Blue Dolphins, and Roll of Thunder, Hear Me Cry stimulate children’s imagination, transporting them into the American past and projecting them into an American future. As works of historical interpretation, however, many are startlingly out of step with current historiography and social sensibilities, especially with regard to race. Unlike textbooks, which are replaced on regular cycles and subjected to public tugs-of-war between the left and right, historical novels have simply—and quietly—endured. Taken individually, many present troubling interpretations of the American past. But embraced collectively, this classroom canon provides a rare pedagogical opportunity: it captures a range of interpretive voices across time and place, a kind of “people’s history” far removed from today’s state-sanctioned textbooks. Featuring separate chapters on American Indians, war, and slavery, Child-Sized History tracks the changes in how young readers are taught to conceptualize history and the American nation. Visit Vanderbilt University Press for more information.